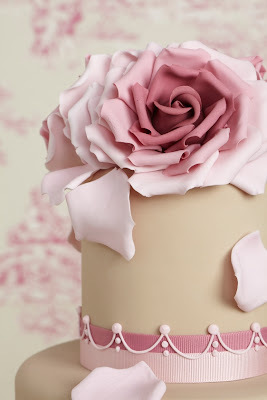 I hope you all had a great weekend. 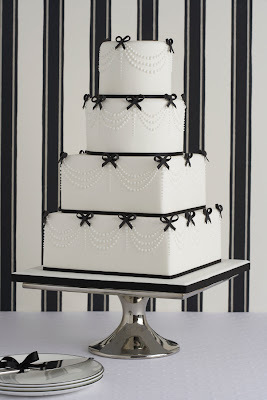 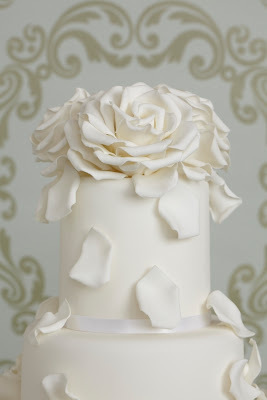 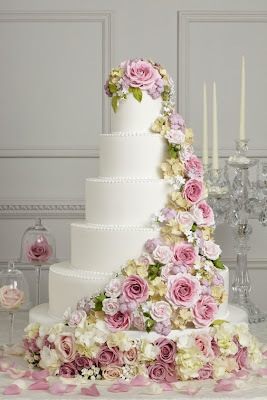 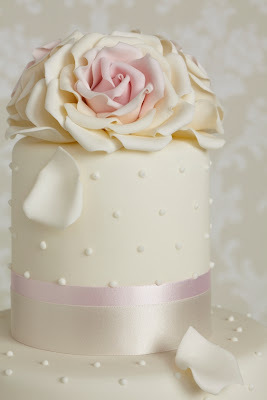 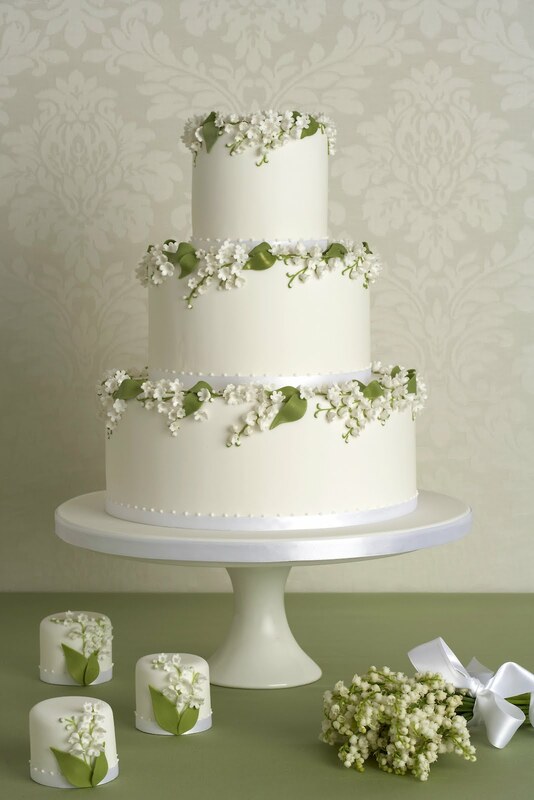 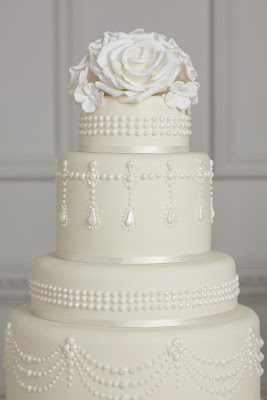 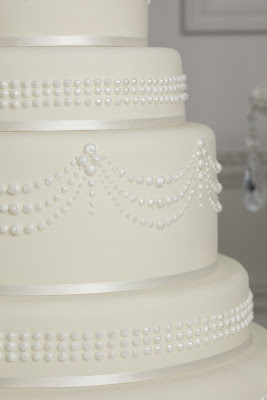 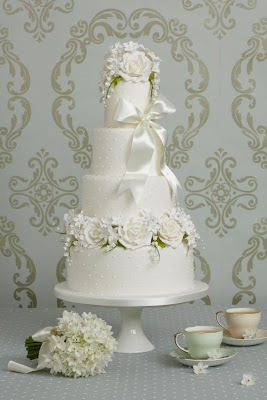 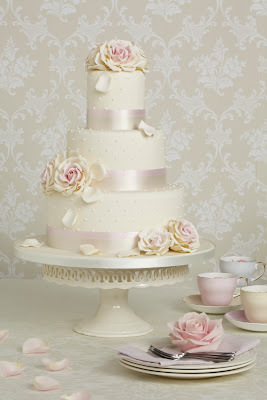 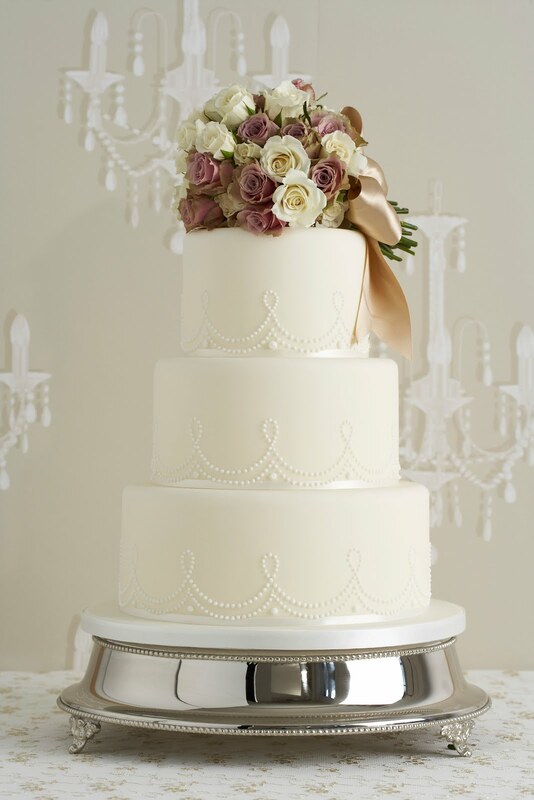 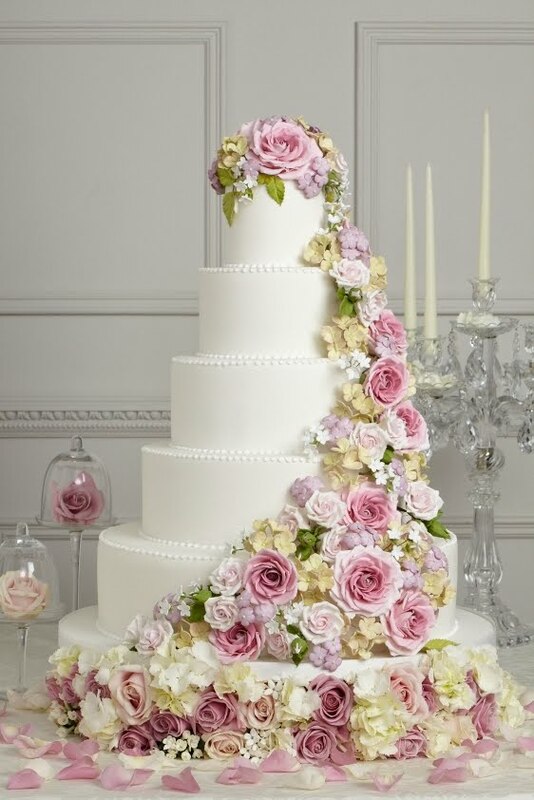 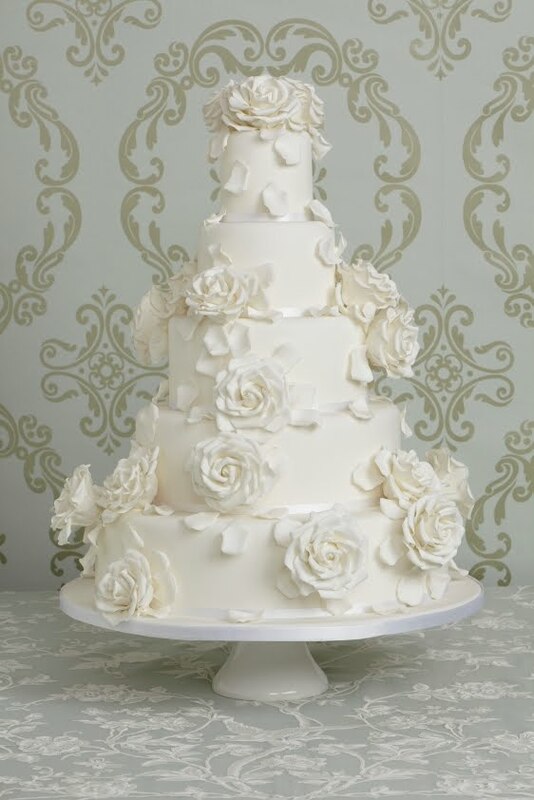 I'm absolutely delighted to start the week with a fabulous post by Peggy Porschen on bridal trends for 2013. Now almost ten years old, Peggy's incredibly successful business needs no introduction. She is renowned for her extremely elegant (and delicious) cakes, cupcakes and cookies. 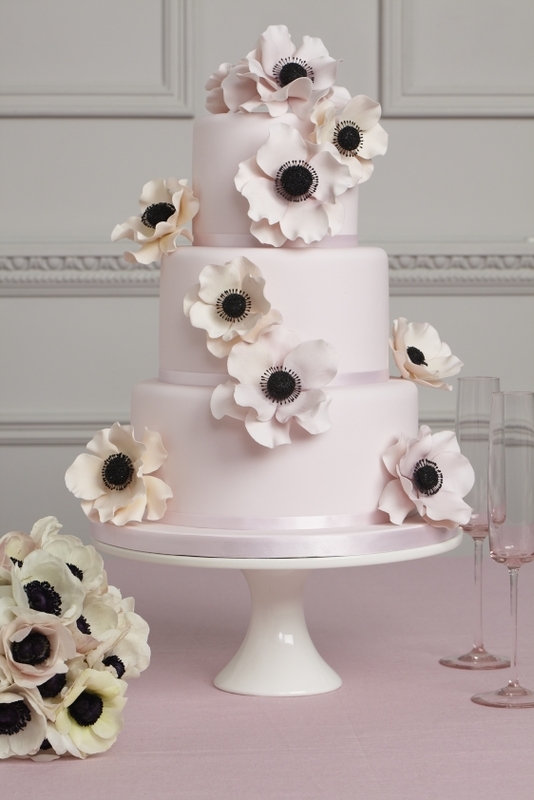 Originally making bespoke cakes only, Peggy opened the award-winning Peggy Porschen Parlour in Belgravia in the autumn of 2010. 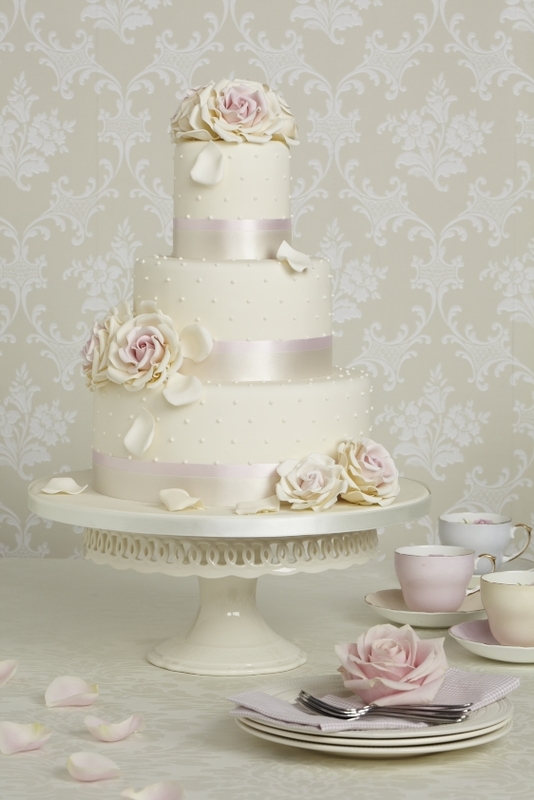 Her Academy followed soon after, offering a chance to learn baking, cake decorating and sugar craft skills at a whole range of different levels. 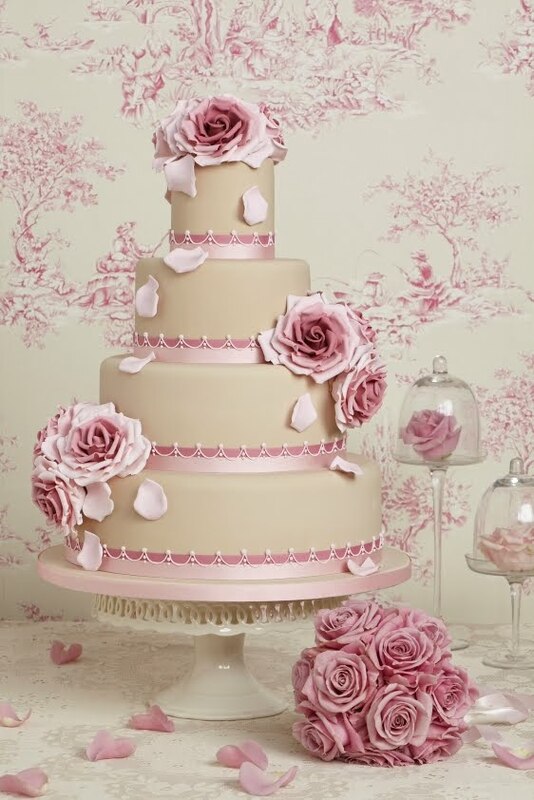 Peggy is also the author of a number of books on cakes and cookies, including her latest, Boutique Baking, which has only just been launched. 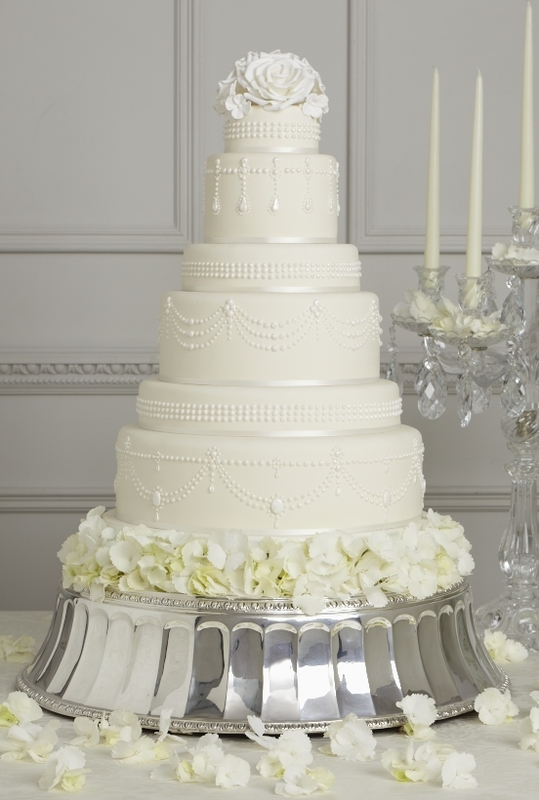 which display detailed craftsmanship and skill. 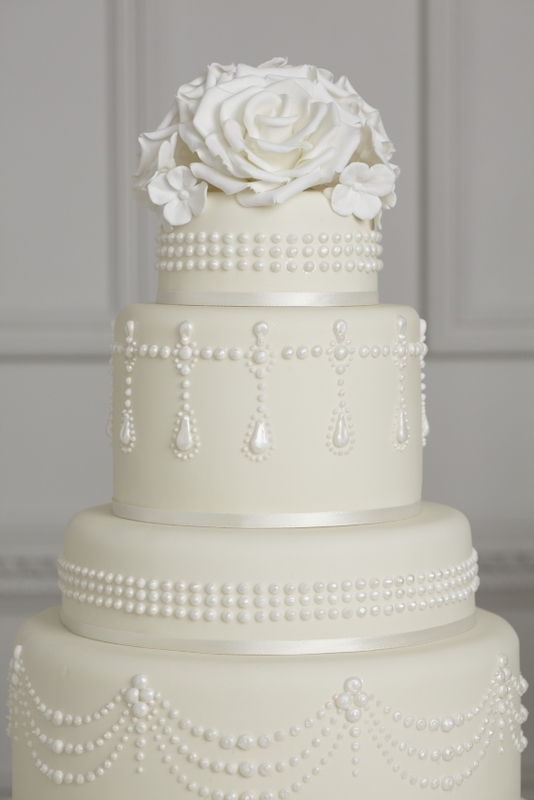 with pearls and swags and tiers with varying heights. 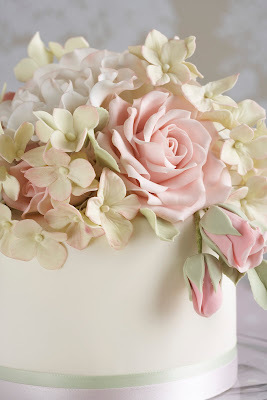 A heartfelt thank you to Peggy and her wonderful team for contributing such an inspirational post. 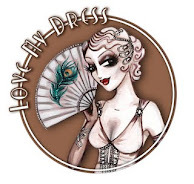 I, for one, am really looking forward to my next trip to London so I can visit the beautiful Parlour!